OASYS Healthcare is a premium supplier of fully controllable audio and video solutions for the medical industry. Our solutions include OR Control Systems, Telemedicine / HD Video Conferencing, Digital Signage, Patient Monitoring Systems, Medical Stands, Mounting Arms and Custom attachments to support these solutions. Our solutions are intended to simplify implementation in a shorter timeframe and at a decreased cost for our customers. With our patented design tool, fully integrated environments can be designed in hours, not days. Using a database of industry standard components, clients can choose the best technology for their facility. Following this philosophy, we are able to deliver scalable solutions that are tailored to our customers needs. All products are made with the highest standards and processes to ensure consistent quality. Our sales and technical teams have extensive experience in the medical, engineering, broadcasting, and IT industries. We are specially equipped to tackle the business and technical challenges currently facing todays healthcare facilities. 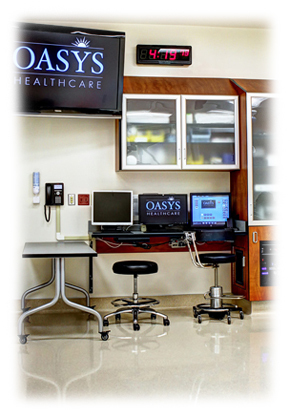 OASYS Healthcare is a premium supplier of fully controllable audio and video solutions for the medical industry. Our solutions include OR Control Systems, Telemedicine / HD Video Conferencing, Digital Signage and Patient Monitoring Systems. Our OASYS V-Series OR Integration Solutions provide ease of Audio and Video Control within the Operating Room with features such as in room monitoring, image capture, video recording, video conferencing and archiving while improving clinical efficiencies and patient outcomes. We also provide other necessary equipment such as in room Cameras, image quality Printers, Medical LCDs, Surgical Monitors, Surgical Displays, and Medical Recorder solutions and related products. Our solutions are intended to simplify implementation in a shorter timeframe and at a decreased cost for our customers. With our patented design tool, fully integrated environments can be designed in hours, not days. Using a database of industry standard components, clients can choose the best technology for their facility. OASYS Healthcare offers an extensive line of spring arm options for your specific needs. Whether the need is to mount a Surgical Light, an Examination Light, Surgical monitors, Cameras or any other such medical equipment, OASYS Healthcare has a solution that will suit your requirements. OASYS Healthcare is an ISO 13485:2003 and ISO 9001:2008 certified company, and compliant with the 93/42/EEC Directive, you can be sure that the quality and service you receive from OASYS is second to none. 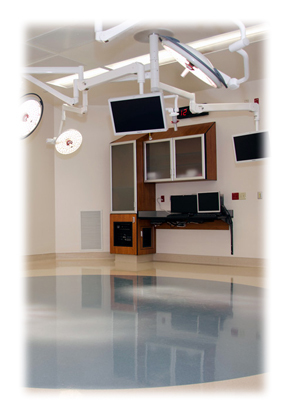 Our mounting systems include Medical Stands, Mobile Floor Stands, Mounted Spring Arms for Floor, Wall and Ceiling installations as well as all Custom attachments to support these solutions. Our solutions are intended to simplify implementation in a shorter timeframe and at a decreased cost for our customers. With our patented and patent pending designs you can be assured of a quality solution to meet your needs. We work very closely with all OEM's and customers to ensure the product is custom suited to their products and their applications. All products are made with the highest standards and processes to ensure consistent quality. All OASYS systems are designed using the latest open platform, non-proprietary technology. The unique design gives you the freedom of choice for product selection in the OR. The systems provide a simple interface to electronic devices in the operating room and increases efficiency while improving surgical outcomes. 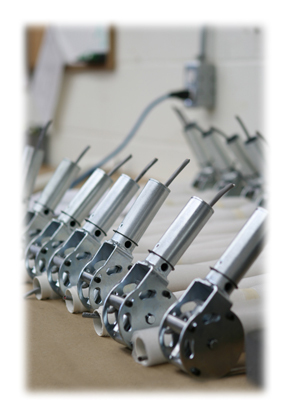 Our engineering team is dedicated to producing superior quality products for our customers. By applying state-of-the-art design and quality control techniques, and utilizing technologies from a broad range of industries, our engineering team can create custom solutions that will meet customer needs and exceed their expectations. Our employees are dedicated to creating products that will not only meet OEM needs but also maintain compliance with regulatory requirements and undergo continuous improvement. Copyright © OASYS Healthcare Corporation. All rights reserved.